We look out the window often. It's hard not to with those waves and clouds pulling our attention like a magnet. Winter is here. It arrived late, but better late than never, right? California needs this rain, otherwise everyone will be drinking reclaimed sewage, and as delicious, clean, and healthful as it is touted to be, we still say no thanks. We'll gladly take the gray skies and the torrential downpours. Every now and then, the clouds part and the sky lightens up, like it did Tuesday morning, and we saw this. Or later in the day, when we saw this. We came home from the market later in the afternoon and put the groceries on the table. 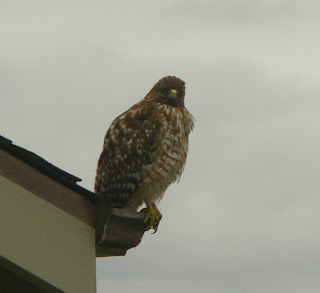 Over Roger's shoulder I saw the Red-shouldered hawk on our neighbor's roof. These neighbors are in the process of building their home, so usually there's commotion with ladders, power saws, and hammers, but Tuesday was quiet. 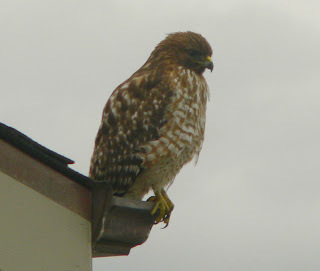 So the hawk came to hunt. There's only one window in this old house I can photograph out of that hasn't already yielded to ancient, wavy glass. The photographs seem soft from being taken through the closed and rain-smudged window. 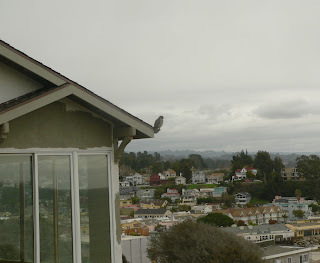 I don't mind, I took seventeen photographs in the five minutes the hawk perched there. 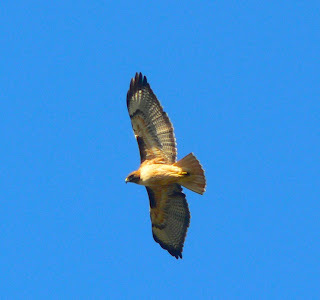 All of the hawk's movement are found in the slight changes in the direction it looks. Its concentration is only broken by the barely perceptible click of the camera shutter. That's when it turns its gaze on us, where we are looking out at it from the winter window. We have a rare moment when something wild looks back. We ran into an old friend the other day. He's a decade older than Roger, and two decades older than I. We had a nice chat along the railroad tracks about the state of the world and politics. He said, "Oh you two still believe things will change. You know you're going to have to give that up. Things don't change. They really don't." I thought about it for a while, and suspect he is right. I hadn't realized how much I still held on to that hope that things would someday be just as we would like them. How silly such hope seems. Based on what would we nurture such desire? It's still raining. We've had enough rain to bring us up to average rainfall totals for winter here. But it is still not enough yet to prevent water conservation measures this summer. If things continue as they seem to be going now, though, Santa Cruz may finally see its water supply full. It is interesting to have so much rain falling in such a short amount of time. We try to get out and walk when there is a windy lull, which there happened to be on Saturday. 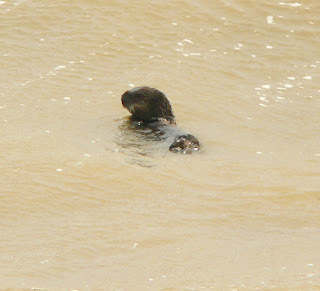 We headed out to the wharf, where we noticed this little sea otter riding in the waves. We said to each other that it seemed small and young. So I started to snap a few photos when it started to make plaintive cries. I turned on the video to see if I could capture that sound, but you'll notice all we got was the sound of the wind. 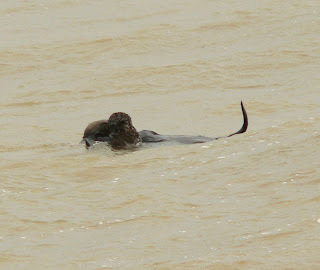 I think if you watch the video closely, and I apologize for the lousy quality, you'll see the otter raise its head several times out of the water. That's when it was crying. What a sound it was, as high as a gull's cry. 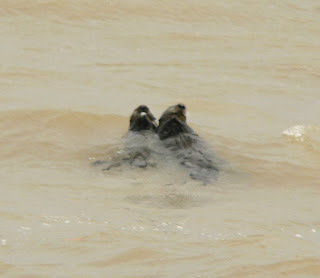 Then, we noticed a larger otter off in the distance dive down under the waves. Maybe we're making this story up. But it looked to us that the larger otter came over and brought the smaller one some food. A very kind and motherly gesture. We watched for a while. The smaller otter stopped crying, and the larger one stayed a while beside it. We think that face has a very satisfied smile on it. But that could easily be an anthropomorphic assumption. Still, it's a story that works for us. A few updates: We are fairly certain that the large fossil we found is whale bone. It was much too large and heavy for us to move. 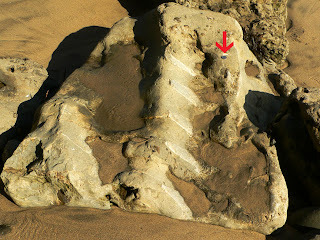 The beach is only accessible at minus tides, and the fossils are only sporadically uncovered and visible, as the sands shift often with storms. The sunset photos were slightly (ever so slightly) enhanced by saturation, but that was only to recreate the sky as we saw it. 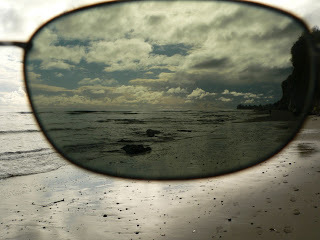 Photos hardly ever represent what our eyes perceive. I tried to show what we saw. It was truly magnificent, and yes, almost psychedelic. Finally, could anyone out there tell us succinctly what Barack Obama's platform is? He won a very great victory in South Carolina on Saturday, and we are glad for him. He's getting a lot of endorsements, and a lot of people talk about how he makes them feel, that he's inspirational, shows leadership, and who he reminds them of. But we're not sure he is a progressive liberal Democrat. Does anyone out there know for certain that he in fact is? Sometimes we feel just like a little otter, out in a stormy sea. 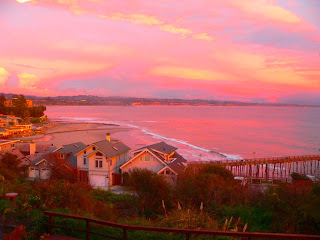 Wednesday night's sunset was about as spectacular as we've ever seen. 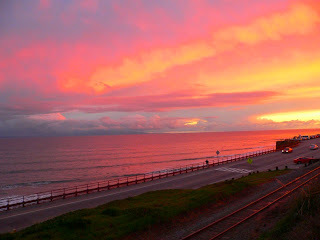 A break between storms at the end of the day lit the sky and sea like this. We haven't seen the sun since it sank into this sea, and don't expect it to show again until some time next week. We're expecting a large wind and rain storm on Friday and Saturday. This is real weather. The temps are in the low 40s, the wind rattles our single-pane windows, and everything that can creak in this ancient house, does. We're hoping we don't lose power. Our generator is back in Washington where this weather would make sense. Wish us luck. That red arrow is pointing to a quarter. We put it there for scale. Look at what the shifting sand revealed. It's been many years since we've seen such fine fossilized vertebrae. I liked the little bird footprints in the sand next to the bones. The whole rock was a perfect tableau of time. We've been having very good rain. If we were still in Washington this weather would be part of an endless monotony of dreariness, but here it is a welcome quenching drench. 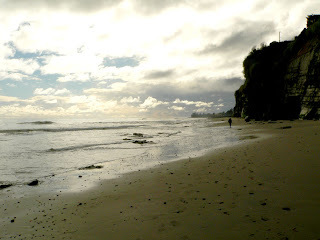 The sunlight breaks through the clouds brightly on the receding tide. Roger cuts the glare with his sunglasses, but I always stare straight into it. We're feeling very quiet, but we are fine. My mother is recovering incredibly well, and dearly appreciated all of your good wishes. We're paying attention to everything, including this, another Marbled Godwit on the shore at low tide. This post should have a photo of an eagle, but it doesn't. 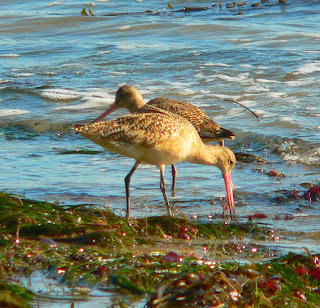 It has this, a photo of a Marbled Godwit. 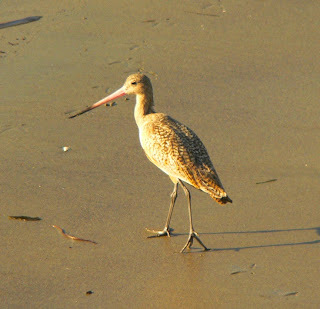 We don't see eagles here at the Capitola Beach, but yesterday we saw this fantastic Godwit. Still, this is a post about eagles. More than thirty of them. 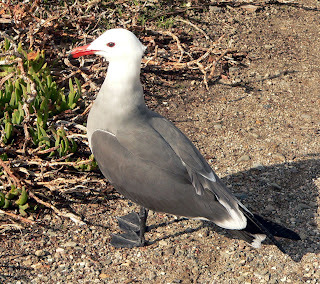 We received an email from Dave Dorsey of the Bird Treatment and Learning Center in Anchorage, Alaska. They are providing health care for thirty injured eagles, and they are in need of financial assistance. 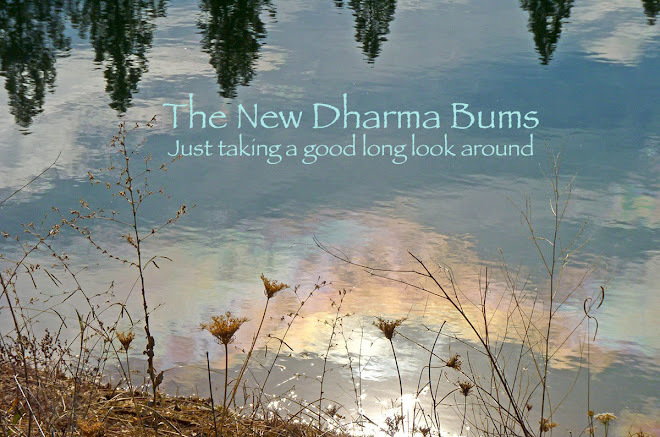 Dave asked if we would put a word out on our blog, and we said, "Absolutely." 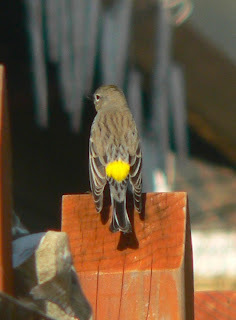 Head over to The Bird Treatment Learning Center and read about the work they are doing, and if you can, please consider sending them some money. In other news, we did not watch the Democratic candidates debate. We don't have cable or satellite, and the wise folks at NBC who wouldn't let Kucinich participate, also decided that those of us without should be satisfied with regular programming. Feh. We watched a film called The Namesake and forgot all about the nasty business of our diminishing democracy. Did you watch the debate? Did we miss anything? Did Hillary cry? How was John Edwards' hair? Did Obama say the word change? Update on life: My mom is out of the hospital. She's feeling much better, but tired. The doctors have no idea what's underlying her illnesses. There is a PET scan in her future. We're hoping for the absolute best outcome, of course. Update on politics: We have become completely disillusioned, disgruntled, disheartened, and disenchanted. Don't like what's become of our democracy. We're old. We remember when it was not always like this. We are screaming most of the time. It's a good thing you don't hear us. We curse a blue streak. 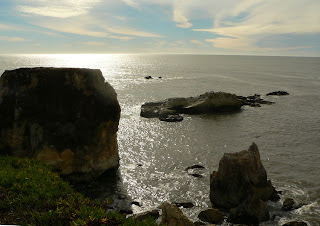 We drove back to Santa Cruz Wednesday. It's a 350 mile trip from my sister's back here. 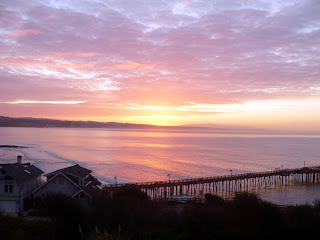 We know that part of Highway 101 pretty well, having made the journey many many times. Yet, we still managed to have a few surprises along the way, even though we stopped at the same old rest areas and parks. We saw three bald eagles for the very first time here in California. No photographs, but a sweet sight nonetheless. RCWBiologist suggested that we look for Yellow-billed Magpies, and it reminded us that we always have seen magpies in the rest areas. We stopped in one around Hunter-Legget, soon after we saw the Bald Eagles, but did not see any magpies. 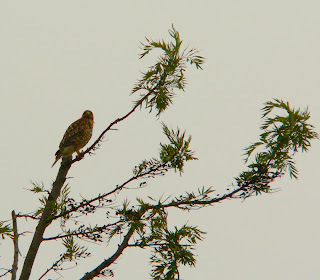 We did however get a good eyeful of this fantastic Red-Shouldered Hawk. Still it was a long, tiring and sad journey. While we were heading north my mother was readmitted to the hospital. When we left on Tuesday she was really recovering well, but Tuesday night things took a turn for the worse. My sister is down there with her, and she also has some great caregivers who are looking after her. We plan to head back down when she is released from the hospital, or if the situation warrants a more quick return. Until then, we're going to take a nice long nap. We're beat. We are still in Leisure World, Orange County. A retirement village of 18,000 units. Golf courses, tennis courts, and palm trees. Speed limit 25 mph, gated community, and club houses. Now that things have settled down a bit, still one more doctor's appointment Monday afternoon, we have started looking for the little bits of wildlife that seep through the cracks. 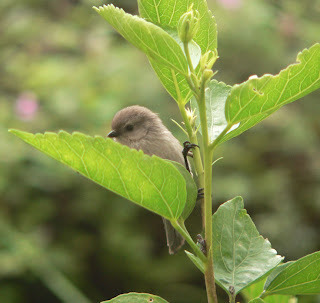 First we noticed a flock of Bushtits in the flowers and bushes outside our window. 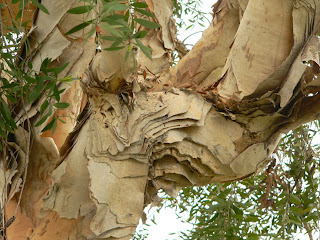 Then we saw this crazy paperbark tree. We'd never seen anything like it. A little research reveals that it is from Australia, a Melaleuca quinquenervia. Cool to look at, but an invasive species in Florida and Hawaii. Then, I went to get the mail and heard a familiar cry from the sky. I couldn't believe it. I brought the mail in, and could still hear it from inside the house. So, I grabbed the camera and ran to the parking lot to see where it might be. There it was, in the tree at the edge of the parking area. 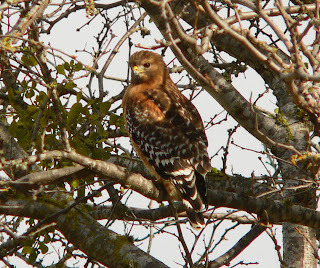 A wonderfully wild Red-shouldered Hawk. Like a good friend, a reminder of the world. Thanks so much for all your kind comments and emails. My mother is recovering. Little things are still going wrong, but the big picture is looking good. We are hopeful. One of the reasons Roger and I moved to Washington was for the water. Not that it had any profound properties like magic elixirs, just the very fact of it. It rains in Washington. There is no water shortage. But now that we are considering moving back to California we are facing the prospect of coming back to a state that has to provide water for a population of nearly 38 million people. Water. There's simply not enough of it to go around. But this post isn't about the coming shortages, the environmental crises. Nope. It's about reclamation. I think it is a remarkably good idea to reclaim sewage and treat it so that it can be used to water golf courses, flush toilets, even irrigate agriculture. But, I don't think it should ever be used for drinking water. 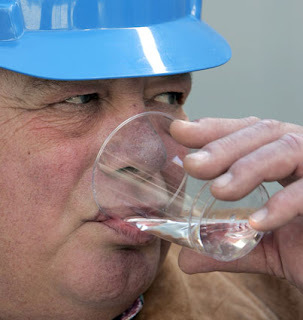 It sounds like a profoundly uncivilized and vile idea taking effluence and turn it into drinking water. Sorry. That's just disgusting. Basically, the facility takes treated sewage, which would have been discharged into the sea, and runs it through an advanced filtration system. The effluent is first pumped into the reclamation plant from the sanitation district's sewage treatment facility next door. The brackish water, which smells of deodorizer, flows into 26 holding basins equipped with 270 million micro-filters -- thin straws of porous material with holes no bigger than three-hundredths the thickness of a human hair. From there, the water is forced under high pressure through a series of thin plastic membranes housed in rows of white cylinders. Next, it is dosed with hydrogen peroxide and bombarded with ultraviolet light to neutralize any remaining contaminants. At this point, the water is free of bacteria, viruses, carcinogens, hormones, chemicals, toxic heavy metals, fertilizers, pesticides and dissolved pharmaceuticals. Though it is good enough to drink, the scrubbing isn't finished. Once the state approves, up to 70 million gallons of treated water a day will be pumped into the county's giant underground aquifer. It will be cleansed further as it percolates through the earth to depths up to 1,000 feet. "This is as advanced a reclamation system as you are going to get right now," said the director of regulatory affairs for the Assn. of California Water Agencies..."
Would you drink this? Is it just me, or does this seem insanely wrong? Impersonal- It looks like Obama and Huckabee took the Iowa caucus. I don't think either of them will wind up on the the top of the ticket. Neither of them are electable. I think perhaps Iowa has finally been rendered utterly meaningless. As it should be. 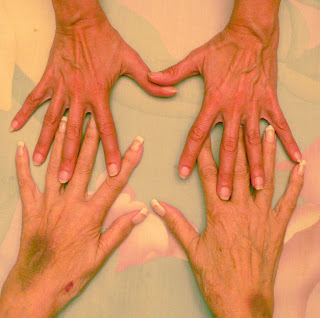 Personal: My mother had an appointment with her primary care physician on Thursday. His interpretation of lab results from her emergency room visit in mid-December and her recent hospital stay was rather shocking and eye-opening. We have been seriously mislead about her condition. She actually may be experiencing congestive heart failure and needs to see a cardiologist on Monday to determine the cause of the fluid around her heart. Lab results also show that she has 30% kidney function. None of this was EVER reported to us in the hospital. Ah, American Health Care, the proverbial envy of the freakin' world, a lot of money for useless crap, like everything else in our culture. Grrrr. Photo borrowed without permission. Chairman of the sanitation district board sampling the final product. What do we have control of? Not very much, when you think about it, certainly not life, suffering, or death. Maybe a little bit, when you think about smaller things like breakfast, lunch, and dinner. The balance we strike must be between these things, or not. What do I know? I'm no philosopher, just a daughter, just a wife, just a Democrat watching Iowa. We want John Edwards to win. We have no control, only desire. Hospitals can be bruising. My mother continues to mend, slowly.